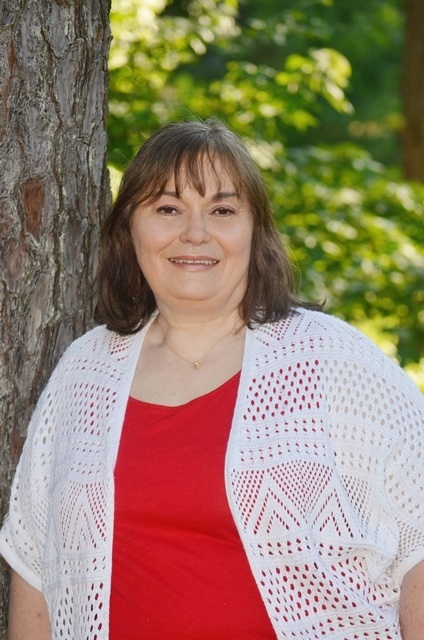 Today I’m interviewing fellow author, blogger, and friend, Joan Hall. I’m pleased that Joan could stop by and chat with us about her writing process and discuss the second novel in her Driscoll Lake Series, Unknown Reasons. Tell us something about you that we don’t know. It doesn’t need to be writing related. I’m an eighth generation American on my father’s side. The first ancestor came to America in the 1700s from Scotland. They were Scotch-Irish and settled in what is now Mecklenburg County, North Carolina. My third great-grandfather fought in the Revolutionary War. One of my cousins has done extensive genealogy research. My maiden name is James but I’m not connected to the outlaw, Jesse James—much to my husband’s disappointment. For some reason, he thinks that would be exciting. However, it’s almost certain that my paternal great-grandmother was distantly related to Cole Younger, who ran with the James gang. 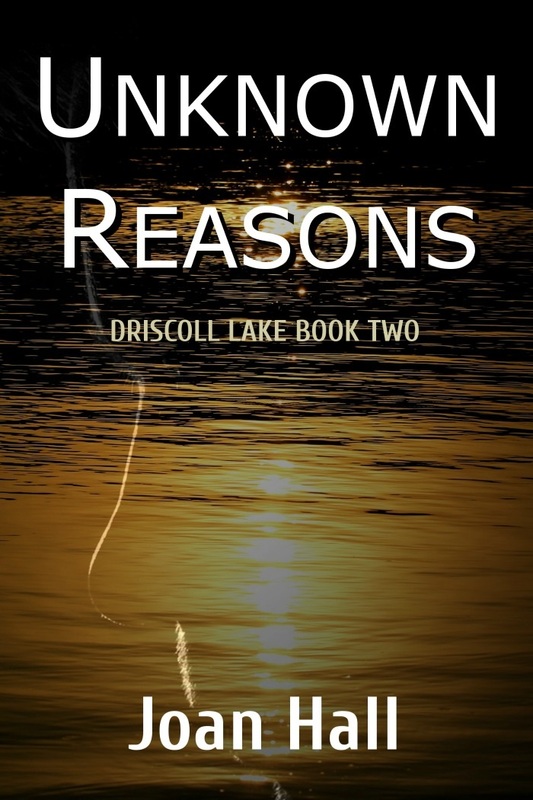 You’ve just finished the second book in your Driscoll Lake Series, Unknown Reasons. Tell us about it. I planned to write Unseen Motives as a stand-alone novel. However, one of my characters, Brian Nichols, had different ideas. He wanted me to tell his story, so I wrote Unknown Reasons. Because I think a series should be at least three books, I’m currently writing the third book, Unclear Purposes. What kind of research do you do, and how long do you spend researching before beginning a book or a series? What sources do you use? I use the Internet a lot. Unseen Motives is set during the late summer and fall of 2011. Texas was undergoing a severe drought that year, so I wrote it into the story. I mention part of the space shuttle Columbia being discovered in a lake due to low water levels. That really happened. Of course, never look at a writer’s browsing history. I’m really not planning to embezzle money or start a series of arsons. However, I did search online for famous embezzlement cases and arsons. Which character was the most difficult to write about in this work? Hard to say, although some characters were definitely easier to write. I guess the character of Dorothy Nichols was somewhat difficult. She suffers from early dementia so I wanted to write her words and actions as accurately as possible for someone in her condition. There is more to a writer than just writing. I’ve asked Joan a to give us some insight. My own procrastination. I finished Unseen Motives a year before I began the first rewrite. It was a convoluted mess and I dreaded the edits. Unknown Reasons was easier. I wrote tighter, so edits were easier, but it did take longer than expected. I also work full-time and my job is somewhat stressful. There were days when I would come home and not feel like writing. That’s easy. Scrivener. In my opinion, it’s the best writing tool around. Is there anything about writing life that you think is misunderstood by the public? It’s not all glamour. Writing is hard work, and there’s so much more than just writing. Whether an author is an indie writer or with a publishing company, they must be involved in promoting their work. We can’t just sit at our computers and write words. I’d like to finish the interview with a few personal questions. Let’s see what Joan has to say. I’ve always used my name. Probably wouldn’t use a pseudonym unless I wrote erotica (and that’s not my forte). You recently did a time travel short story. If you could go forward or back in time, which would you choose? Who should you like to meet. And why? I would want to go back in time. I’ve always been fascinated with the World War II era (hence the setting for my short story, Gold Wings.) However, if I could go back in time and meet someone, I would choose my maternal great-grandmother. Like my cousin, I’m interested in genealogy and did a little bit of research on my mom’s side of the family. My grandfather (who was seventy-five years old when I was born) had two brothers who died as young men. I don’t know the exact date, why they died, or where they are buried. I once had a dream that I was talking to my great-grandmother and I asked her, “What happened to your sons?” I woke up before she answered. That would be the first question I would ask her. She outlived five of her eight children before she passed away in the late 1920s. When she’s not writing, Joan likes to take nature walks, explore old cemeteries, and visit America’s National Parks and historical sites. She and her husband live in Texas. You can purchase Unknown Reasons by clicking on the link below. Michele, thank you so much for having me today. This interview was fun! I like genealogy, too. (Surprised, right?) Your history is fascinating. Great to hear about it. Wishing you luck with the release. I loved the story, and I highly recommend it to others. No, Joan. Not surprising at all. Let’s make that three for the genealogy group. I’ve done some research on my family history, but I’m only 2nd generation American on my mom’s side and 3rd on my dad’s side. It gets difficult when the lineage goes out of the country, but someday I’d like to put more effort into it. Your family history is fascinating, Joan. One of the cemeteries in my area has the graves of several Revolutionary War soldiers. It amazes me when I see them. Do you know where your third great-grandfather is buried. P.S…looking forward to Unclear Purposes. Having read the first two books, I can’t wait for the third! Mae, it doesn’t surprise me that you are also interested in genealogy. You, Staci, and I have a lot in common. I believe my ancestor is buried somewhere in Tennessee. He had a lot of descendants, some of which ended up in Texas, of course. Needing to get a few more chapters of Unclear Purposes written. It’s been slow going of late.